The iOS 9 has been a great hit and almost everyone who has used it, has fallen in love with it in an instant. There are lots of new features packed into the new iOS version. Through this article, you will learn about many features of the new iOS 9 and after you’re done reading through all the tips and tricks below, you will have become an iOS 9 master. You can now attach large files with your e-mails. iOS 9.2 has unveiled this new feature through the new Mail Drop app. The app allows you to upload large attchments and then you can send a link or preview to the recipient. When you select attachment(s) whose size exceeds what Mail can hold, you’ll be automatically asked whether you want to switch to Mail Drop. This a pretty cool feature, considering the amount of data that you’ll be able to send. Shake to Undo allows you to undo the last few words that you have typed with just a quick shake of the iPhone. But this feature is a bit too over-sensitive. But thankfully, in the new iOS 9 you can completely disable this feature. Go to Settings – Accessibility – Shake to Undo, and toggle the slider to disable it. The new and improved Siri can do a lot more stuff than before. She can do basic maths and conversions. Also she can now set reminders based on location as well, that is, she can remind you of something when you are at a certain location. For example, if you want to pick up some pizza when you are in the city, she’ll set off the reminder when you reach the city. And you can also ask Siri to show photos based on location and date too. In iOS 9, you have the option to change the functionality of the side switch. Until iOS 9, you coulnt actually choose what your side switch did. Go to Settings – General – ‘Use Side Switch to’ and choose whatever you want your side switch to function as. With the power saving mode, you can make your iPhone battery last out a bit longer. This will limit background apps, mail fetches, etc. when your battery reaches 20 %, the power saving mode will turn on automatically. You can also turn it on manually at any point of time by heading to Settings – Battery. With the improved Notes app, you can make a to-do list with complete bullets and stuff. This is a very handy trick that iOS 9 users should know about. Apple Maps now support public transit directions. You can get the schedule of buses, trains and tubes with the improved Apple Maps. With this feature you can also set journeys using public transportation as well. Notifications have also been improved a lot in iOS 9. You can now group notification based on apps. So notifications by the same app will be grouped together. To enable this feature, head to Settings – Notifications – Grouped by app. With this feature, you don’t have to spend a lot of time looking for an option to change. With the all new search box in Settings, you can search for the setting that you would like to review. Touch ID has made both iPhone and iPad more secure. But for those of who prefer the classic digit password, iOS 9 now supports a 6 digit passcode. To secure your device with a 6-digit code, open up Settings - Passcode - Change Passcode - Passcode options and hit 6-Digit Numeric Code. 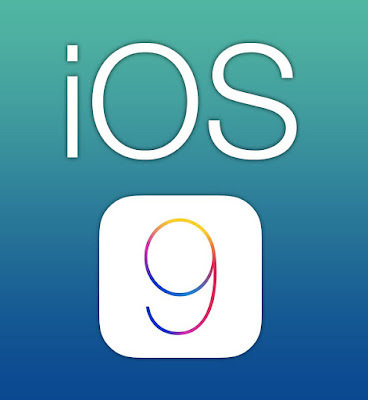 These are some hidden features of iOS 9 that every iOS users should know abput. I Hope you found this information useful. Khurshid Kamar is a student of Computer Science Engineering who has merged his passion for all things technological with his enthusiasm for writing. This computer geek spends most of his free time looking up the latest what’s what in technology and the rest, watching movies and anime, listening to rock music and Eminem, hanging out with other nerdy friends and quoting Fight Club. Connect with him on Google+.